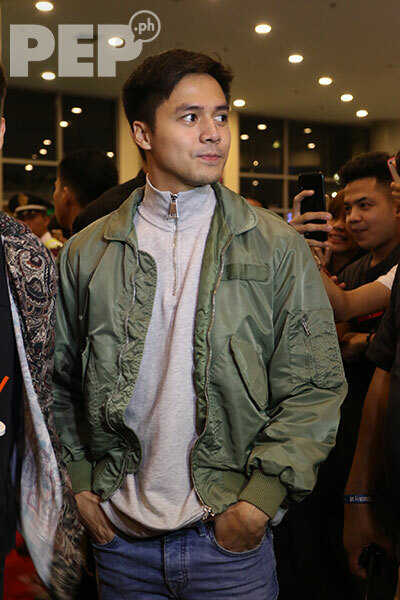 Noticeably absent at the event was Nadine's leading man Carlo Aquino. 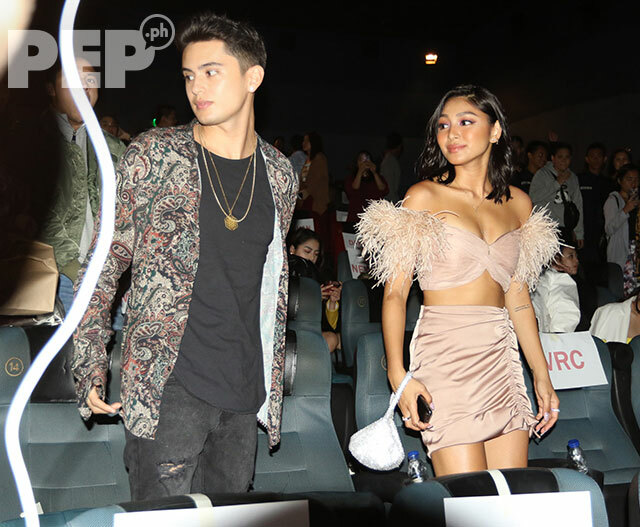 James Reid was among the celebrity guests who supported Nadine Lustre at the premiere night of her new film, Ulan. The red carpet screening was held yesterday, March 11, at TriNoma Mall, Quezon City. Ulan is Nadine's first movie project without her boyfriend and love team partner, James. 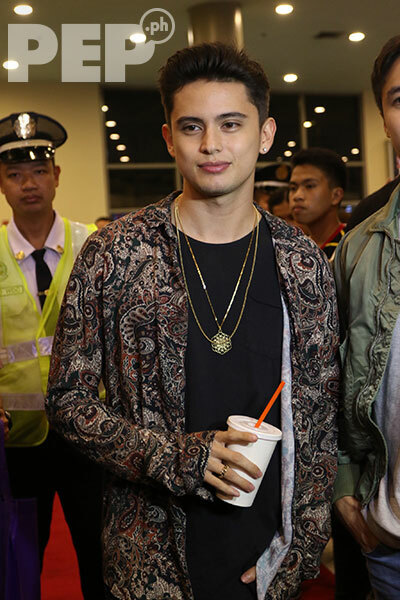 James walked the red carpet together with good friend and VIVA Artist, Sam Concepcion. Nadine walked the red carpet with director Irene Villamor and one of her leading men in the movie, Marco Gumabao. 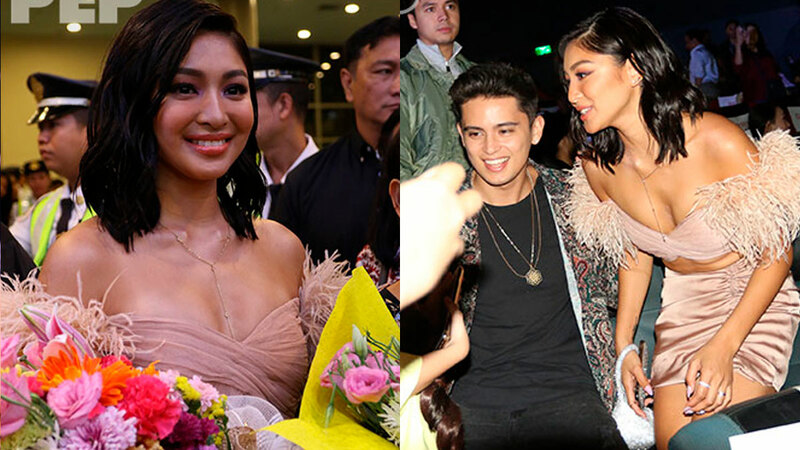 Nadine's main leading man, Carlo Aquino, was noticeably absent at the premiere night. 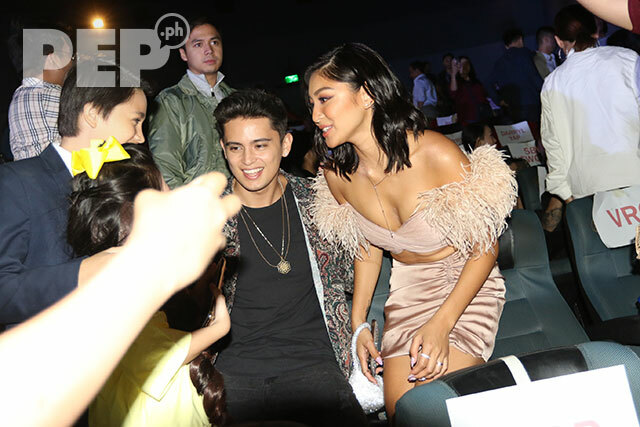 After the screening, James and Nadine were seen sitting beside each other. The child actors featured in the film took a selfie with the JaDine love team. James and Nadine then left the cinema together. Before the premiere night, it was formally announced that Ulan is the first original movie produced by HOOQ Philippines, together with VIVA Films. In the movie, Nadine plays Maya, a woman who has a fascination with rain and the urban legends surrounding it, particularly those involving tikbalangs. After Ulan, Nadine will be doing a dance musical film with Sam titled Indak. Ulan cast members Josef Elizalde, Meghan Dee, and AJ Muhlach were also present at the premiere. Andrea del Rosario, who plays Maya's aunt, attended the premiere with her daughter. Leo Martinez, who plays Maya's boss, also graced the red carpet event. Ulan, which starts showing on March 13, is Graded A by the Cinema Evaluation Board.